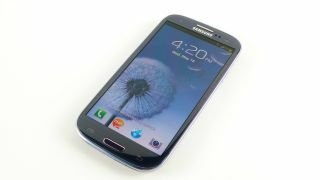 Samsung has gone on record about the security measures it employed to keep the Galaxy S3 handset a secret right up until launch. The company revealed: "There were three different prototypes to avoid any design leaks. All were made like final products. "This meant making three totally different, continuously changing models in the same time frame. Engineers had to repeat the same process for all three types." As an example, the device's antenna had be be designed every time a new design was implemented, according to the engineers. "To be honest, it was quite tiring and frustrating," said Samsung Senior Engineer BeoungSun Lee. Principal Engineer WooSun Yoon said disguises were often used to hide the device, while colleague ByungJoon Lee said the team were never allowed to send drawings or pictures of the S3 concepts and had to explain design nuances using words. So, if you were wondering about all of those different 'leaked photos' of the device, pictured all over the web in the months leading up to launch, they were all probably genuine, to a point. Fair play to Samsung though, the company did a fine job of throwing everyone off the scent.